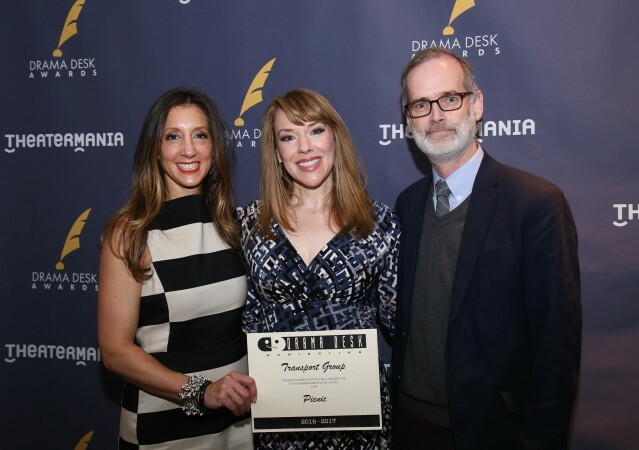 Transport Group’s Lori Fineman and Jack Cummings III flank actress Emily Skinner after receiving a nomination for 2017 Drama Desk Award for Outstanding Revival of a Play for PICNIC by William Inge. Emily Skinner, was nominated for Outstanding Featured Actress in a Play for the production. 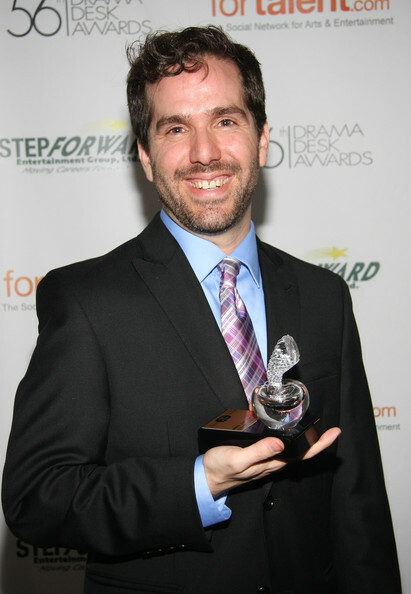 Adam Mathais won a Drama Desk Award in 2010 for hisi book of SEE ROCK CITY AND OTHER DESTINATIONS. 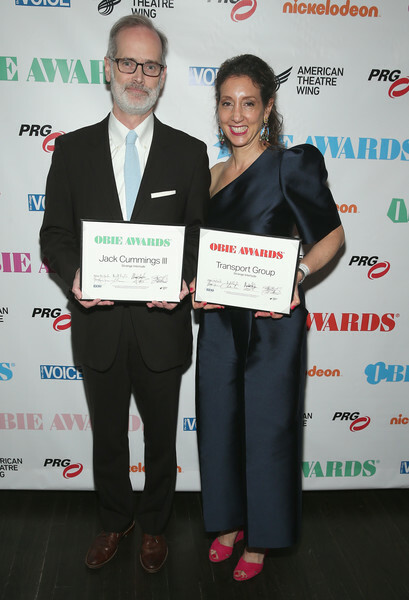 Jack Cummings and Lori Fineman pose with our 2018 OBIEs for Strange Interlude.